There is strong support in favour of a referendum to repeal the Eighth Amendment, according to a poll. The Kantar Millward Brown poll, in today's Sunday Independent, finds a strong support in favour of a referendum to repeal the Eighth Amendment, with 63pc in favour. A total of 24pc are opposed and 13pc do not know or offer no opinion. However, the proposal of unrestricted abortion up to 12 weeks is a more divided question. A total of 40pc said unrestricted abortion up to 12 weeks was 'about right', while 8pc said it 'did not go far enough', a combined 48pc in favour. However, 33pc said unrestricted abortion up to 12 weeks 'went too far' and a further 19pc were undecided - a combined 52pc against or unsure. Meanwhile, Fine Gael’s support under Taoiseach Leo Varadkar has surged eight points ahead of Micheal Martin’s Fianna Fail. 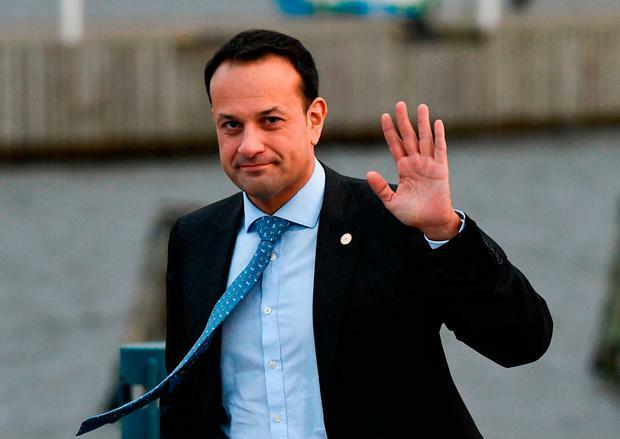 Fine Gael has increased support by six points and now holds 36pc of the country’s vote. Meanwhile, Fianna Fail has dropped one point and is currently at 28pc. Mr Varadkar’s personal satisfaction rating (58pc) has also increased and he is now ten points ahead of Mr Martin (48pc). Sinn Fein’s support has remained unchanged at 20pc despite the appointment of Mary Lou McDonald as party leader. However, Ms McDonald’s personal support (39pc) is five points higher than Gerry Adams (35pc) when his popularity was last polled. Brendan Howlin’s woes continue as the Labour Party’s support has dropped three points to 4pc while his personal satisfaction rating is down six points to 22pc. Support for Independent non-aligned politicians continues to fall and is now at just 11pc. Support for Fine Gael’s government partners the Independent Alliance’s is down two points to 3pc. The Green Party remains unchanged at 2pc, the Solidarity/Anti-Austerity Alliance is also unchanged at 1pc. Social Democrats are also at 1pc.